George T. Morgan's Coin That Never Was! Imagine examining artifacts in the Smithsonian Institution™ and finding a never-before-seen sketch of the largest and highest-denomination American coin ever proposed! That's just what happened to one coin expert ten years ago. 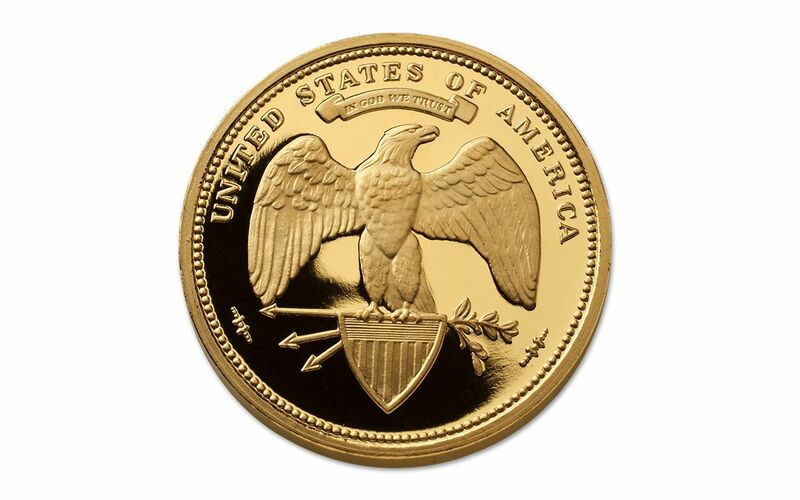 To his surprise, he found the original design concept for a $100 denomination coin created by George T. Morgan in a sketch book. 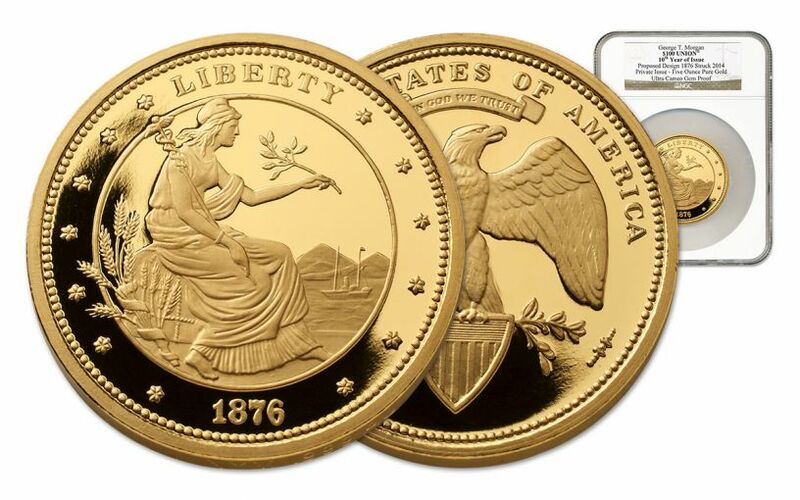 These sketches represent perhaps the grandest American coin ever proposed -- the $100 Union™. 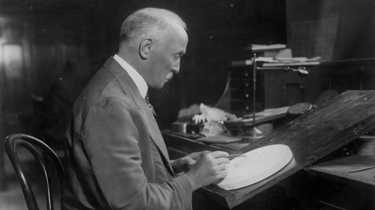 George T. Morgan will always be remembered for his most famous coin -- the Morgan Silver Dollar. Until recently, the world knew nothing of Morgan's larger-sized, higher-denomination $100 Union. Who knows what such a magnificent piece would be worth if it had made its way from Morgan's sketches to U.S. coinage? 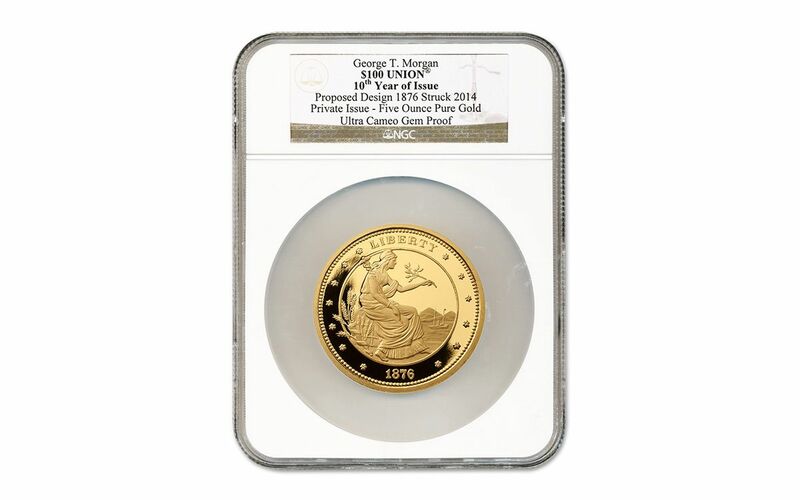 Now, to commemorate the tenth year of issue of this remarkable find and for a limited time, you can secure the world's first and only 10th Year of Issue $100 Union Proof, struck in five ounces of 99.9% fine gold. Each is graded and encapsulated Ultra Cameo Gem Proof by Numismatic Guaranty Corporation (NGC). 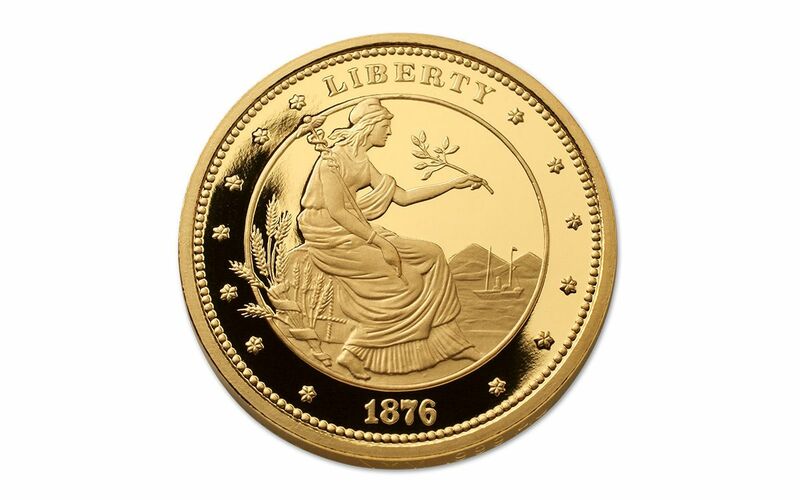 This massive five-ounce Gold Union has an extremely limited edition of only 300 and is a worldwide exclusive release. Each also includes a superb custom presentation case that features Morgan's original design concept accompanied by a storycard and certificate of authenticity. You will also receive a recently published Smithsonian coffee-table book, "The Private Sketchbook of George T. Morgan" by Karen Lee as a bonus with each Gold Union. Secure this piece of American history for your own today!